Click Here to view a in depth presentation using the Score High Adjustable Pillar bedding System. 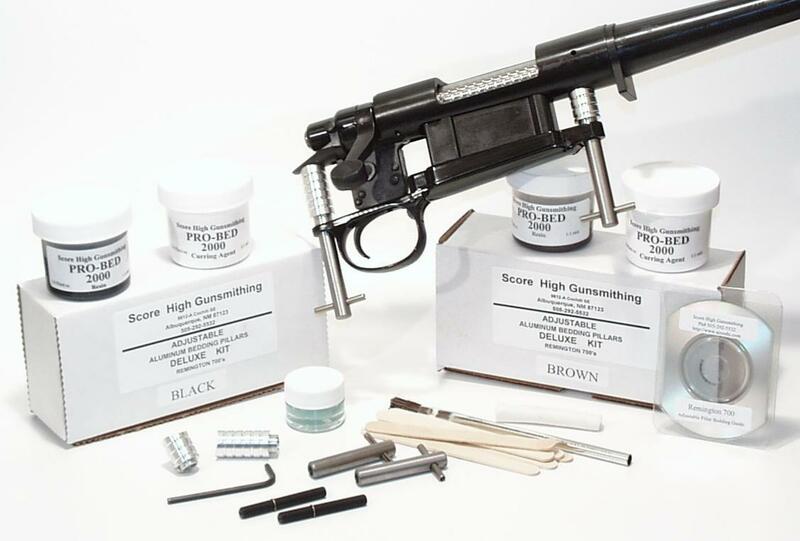 Deluxe Kit: $55.95 This kit comes with everything needed to to properly pillar bed a rifle, Adjustable pillars, reusable installation hardware, Black or Brown, Pro-Bed 2000 bedding epoxy mold release wax modeling clay and an installation guide on CD-ROM. Refill Kit: $22.95 If you have purchased one of the other kits this is all you need. Includes pillars only. $239.95 for the complete set for 700 LA, SA ADL and BDL. Drill jig rentals are for 5 full business days. The cost is $48 plus our standard $9.00 shipping and handling per order. 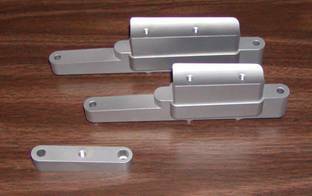 Each stock drilling jig rented ships with every thing need to drill all Remington 700s or any Remington 40X, long action, short action, ADL and BDL. It also ships with a freshly sharpened premium twist drill ground specifically for use with the drill jig. The drill jig ships in a Pelican hard case with a special compartment for each drill jig component. Also shipping with the drill jig is a pre-paid UPS shipping label for return shipping. Using your Visa or MasterCard you can request a drill jig rental ether on line or by phone. At that time a hold on funds for $319.95 will be placed on your credit card for the value of the drill jig ($239.95) and the Pelican case ($80.00). You will receive an e-mail from UPS with your tracking number when the drill jig ships. When you receive the package containing the drill jig we will receive an e-mail from UPS. The five day rental starts the next full day. When you are finished with the drill jig simply affix the label provided and present it to any UPS shipper or UPS driver. At that time UPS will enter the package into their tracking system and we will receive an email indicating the day and date of the return. There will be an additional $7.50 per day added to the original rental price for each day after 5 business days. Once we receive the drill jig back and it is examined to see if it is complete and in good condition your credit card will be charged for the rental charge and the funds on hold will be released. No more damaged finish trying to remove the factory trigger guard from a bedded stock. No more trying to clean epoxy and mold release from the rough surface of a factory trigger guard. 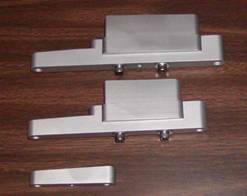 Our bedding blocks leave the bedded surface of your stock looking as if it just came out of a precision mold. Because these trigger guards are made extra tall you never have to worry about the factory trigger guard being slightly below the stock’s finished surface and what to do with the epoxy that runs over the top. When boring the stock to accept the aluminum pillars it is easy to get good results every time when using a piloted counterbore. There are 2 sizes available 9/16 diameter for boring the stocks of Winchesters and Howas and 5/8 diameter for all Remingtons. 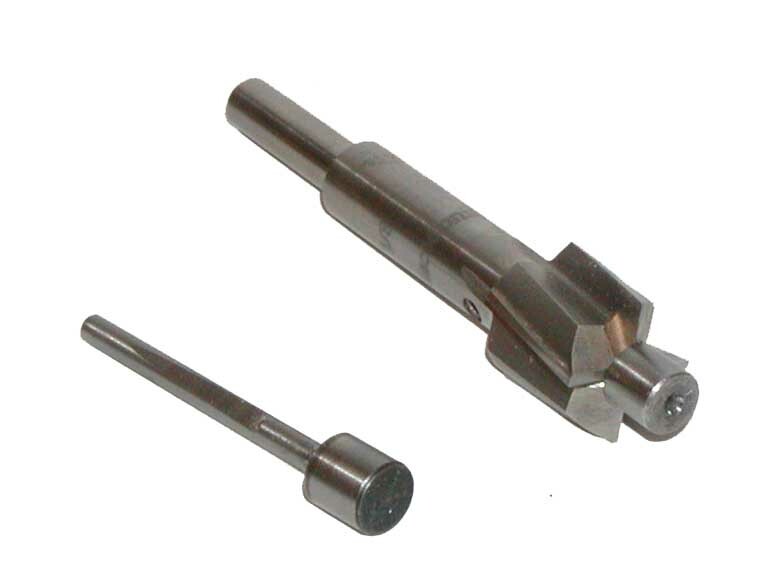 To best fit the holes of the trigger guard screws each counterbore comes with 2 pilots, 9/32 and 5/16 diameters. The best method of thickening epoxy by far is through the use of Fumed Silica. There are times when bedding a stock that you need the epoxy to stay exactly where you put it. Fumed silica can be added to Pro-Bed 2000 to such an extent to make the epoxy as thick as dough with absolutely no negative effects on the finished product. 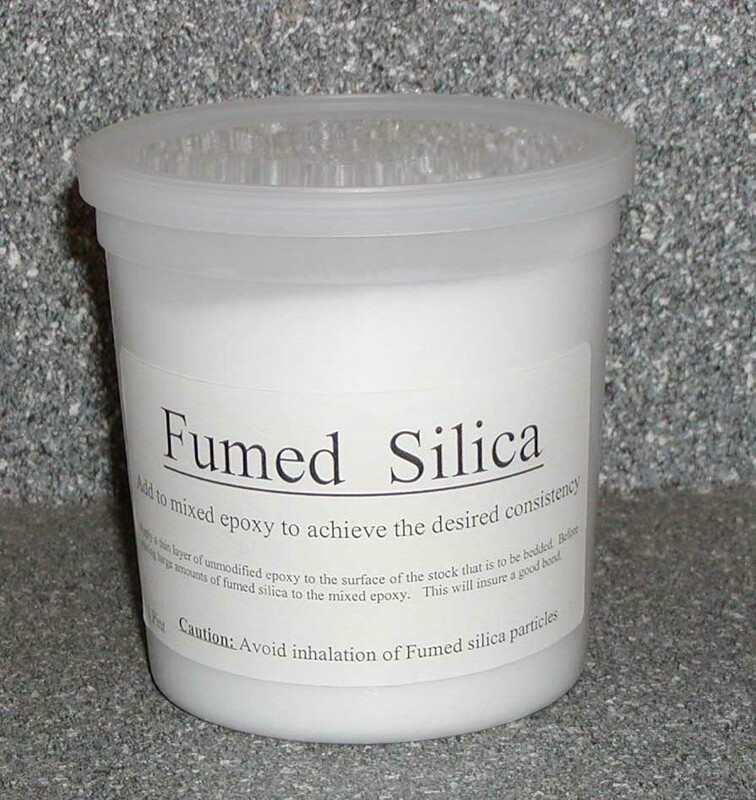 The thixotropic properties of the Fumed Silica allow for ease of mixing with the epoxy. The mold release agent can make or break a bedding job. 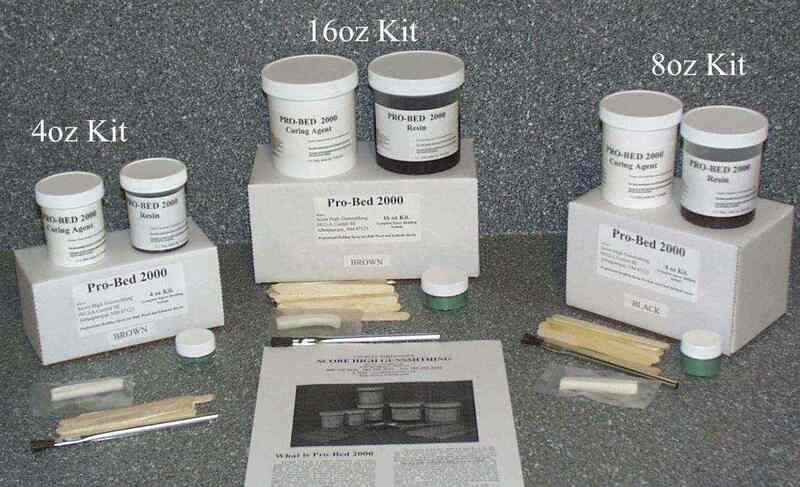 Our mold release is a high grade parting compound designed for the composite industry. It is a Carnauba based wax that is applied and then buffed to a sheen similar to waxing a car. It is the best product that we have found for this application. When the aerospace industry makes carbon fiber wings and other composite parts they use this stuff to depart their molds. Sinclair distributes our Benchrest Followers and Adjustable Pillar Bedding Kits.